From The Curse on Twitter: "We'll be playing tonight at Zendejas in San Dimas (Club Primary)!" Facebook Event page. 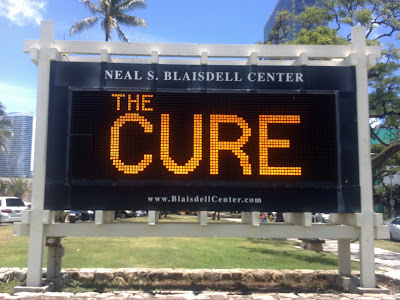 Announced this morning by BAMP: The Cure will play at Neil Blaisdell Center Arena in Honolulu, Hawaii on July 30th. Tickets on sale June 14th at 10am. Prices are $39.50, $59.50, $79.50, $99.50, $250 (with $100 of each Front Row ticket being donated to the Hawaii Arts Alliance). Now confirmed on the official site, Facebook and Twitter. Tickets will be available at Ticketmaster locations / Ticketmaster.com / BampProject.com / Live Nation.com / Blaisdell Box Office / Walmart stores on Oahu, Maui, Kauai and the Big Island / or charge by phone at 1.800.745.3000. Update (06/14/13): Tickets go on sale today at 10am Hawaii time. That's 1pm pacific, 2pm mountain, 3pm central, and 4pm eastern. Good luck! On sale now! Thanks to Darrell for the photo. Update (07/16/13): Some good seats in Section F are available again at Ticketmaster. 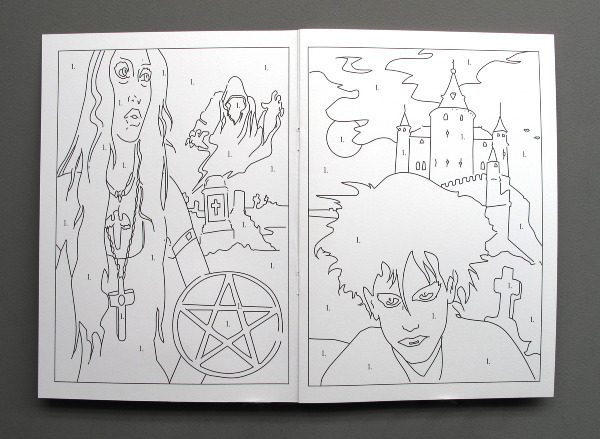 Also more in Section S & 7.